The first TRC-10 token was made a success exclusive token launch on the Binance platform. The BitTorrent token (BTT) sale held on January 28, 2019, got a positive interest from the crypto investors. The 59.8 billion BTT was sold, worth roughly $7.2 million. There are two token sale simultaneous sessions: first is purchases using Binance Coin (BNB) and second is for purchases using TRON (TRX). Both sale sessions was done quickly. According to Binance, "In the BNB session, all 23.76 billion BTT were sold to token sale participants within 13 minutes and 25 seconds. Meanwhile, in the TRON session, all 35.64 billion BTT were sold within 14 minutes and 41 seconds." During the token sale, BTT per token was valued at $0.00012 and the minimum purchase amount was set to 100,000 BTT. The file-sharing company was bought by TRON CEO Justin Sun last summer. And for the first time, BitTorrent release a token (BTT) in their 17-years of surviving as an Internet technology company based in San Francisco. 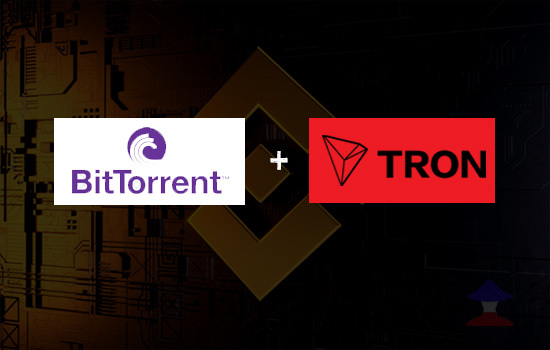 "BitTorrent is a TRON-affiliated blockchain project for peer-to-peer file sharing, empowering a new generation of content creators with the tools to distribute their content directly to others on the web. BitTorrent’s new BTT token will allow BitTorrent peers to incentivize activities that lead to better file sharing, like using faster networks and enabling longer seeding periods. BitTorrent currently has 100 million monthly active users (MAU) across 138 countries," Binance stated in their BitTorrent Token Sale Results post. And aside from the BitTorrent token sale success, not all countries participated from the token sale on the Binance Launchpad platform. Meanwhile, BitTorrent Speed is the system which will integrate the Tron-based BTT token into the popular µTorrent Windows client, will allegedly launch by summer. Comments or suggestions about "BitTorrent tokens (BTT) was 'SOLD OUT' in Binance" is important to us, you may share it by using the comment box below.